Formed in January 2010 with over 50 years combined experience, these ladies love to perform whenever they get the chance. High Five competed in the 2010 Harmony Inc International Contest and Convention coming 7th out of 22 quartets. They repeated this feat again in 2012! High Five members are Denise Keleher, Karen Hosler, Julia McGregor and Julie Rushton. Denise, Julia and Julie are all members of A Cappella Showcase. Lynne Crellin, Lise Tomaszewski, Samantha King and Sue Anne Dix are Odyssey! This quartet brings many years of barbershop experience to their performances. 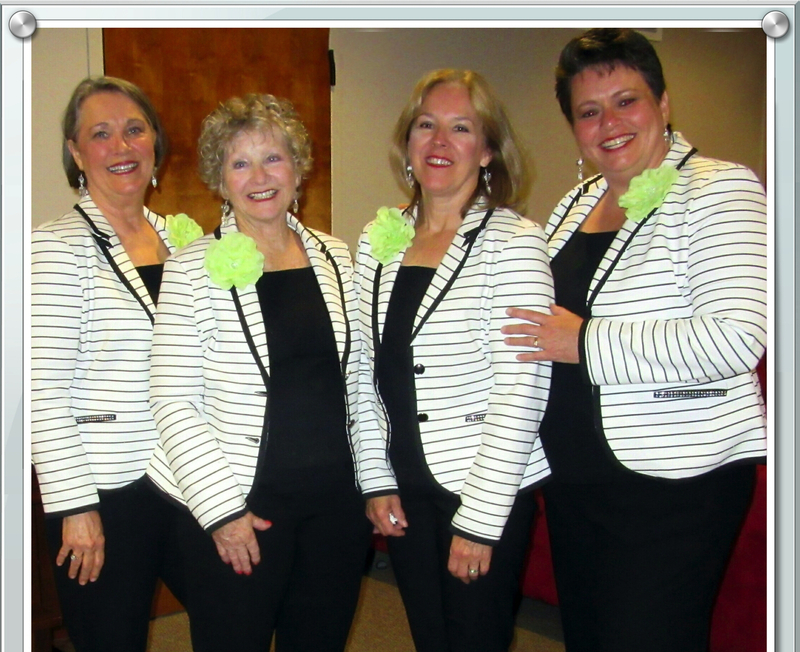 All are members of A Cappella Showcase and Odyssey is a registered Harmony Inc. quartet. Odyssey loves to sing and share the gift of song with audiences large and small.